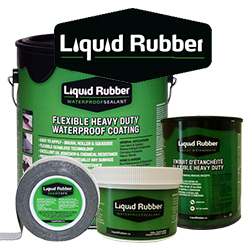 ALL LIQUID RUBBER PRODUCTS Multi-purpose coating that cures into a waterproof membrane. Available in a variety of colors. Seaming tapes are also available for seal joints and tears.